glass, makes it even better. We survived bitter cold weather this week, with most of the week bringing us temperatures near or below 0º F, especially at night. With more snow expected this evening, at least I know that temperatures will start to edge more toward a seasonal range, of 24º to 30º. January is typically a slow month for most gardeners, and for most garden bloggers, but with a fully stocked greenhouse I try not to over whelm you with pretty photos of close up bulbs, rare plants and seed- sowing facts. I know that is all can get very repetitive. Bear with me as I share some repeat, well, more like updates of plants which are currently blooming on this chilly, sunny, Friday in January. I share - rare bulb, and a rare bird species too, which visited our feeder today. Under glass, winter can still bring many flowers, mostly from the species that would typically be growing in the Southern Hemisphere. South African bulbs and South American tubers bring most of the color during January. 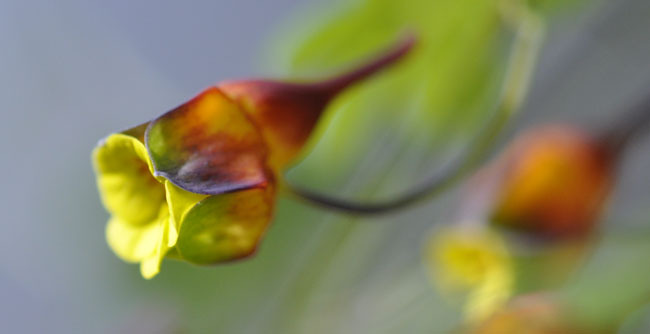 The tiny, vining tuberous Tropaeolum species ( Nasturtium, really), are starting to bloom again - this year, much earlier than any year in the past. 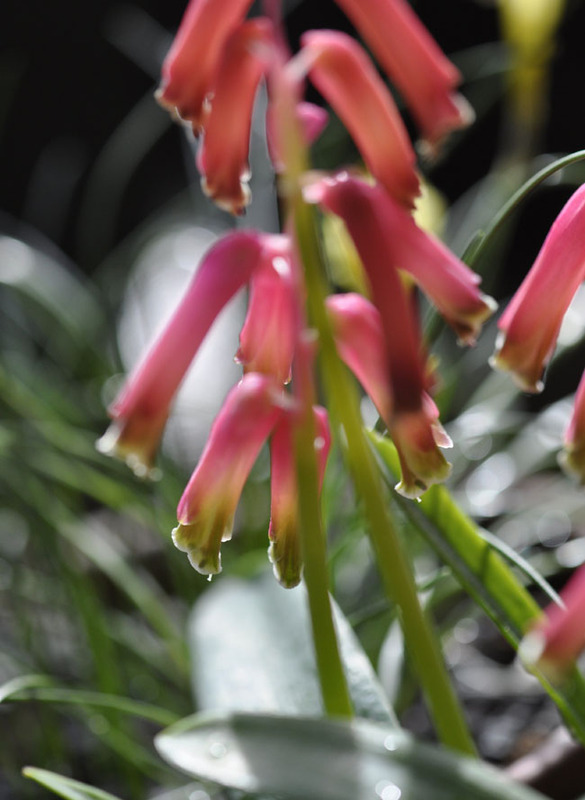 They are SO nice, that I have to share another view - Lachenalia bulbifera, always the first of the South African Cape Hyacinths to bloom in my collection. 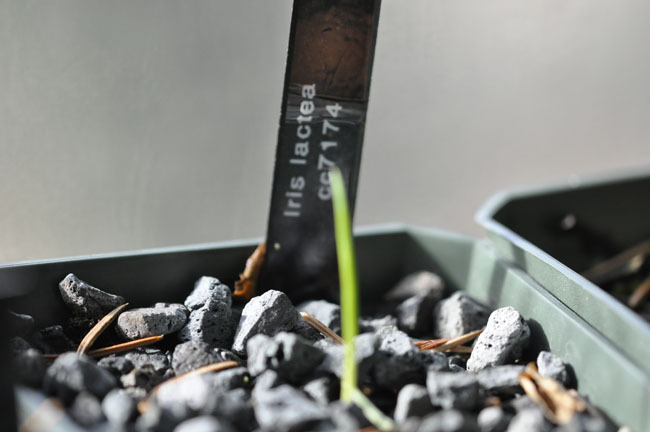 After a summer outside, and a winter outside, once brought into the greenhouse, many of the iris species collected by Chris Chadwell on his latest expedition to Tibet are beginning to germinate. What a treasure and gift to have these wild collected see. This Iris lactea is a beardless iris with tiny thin blossoms which are typically blueish violet. 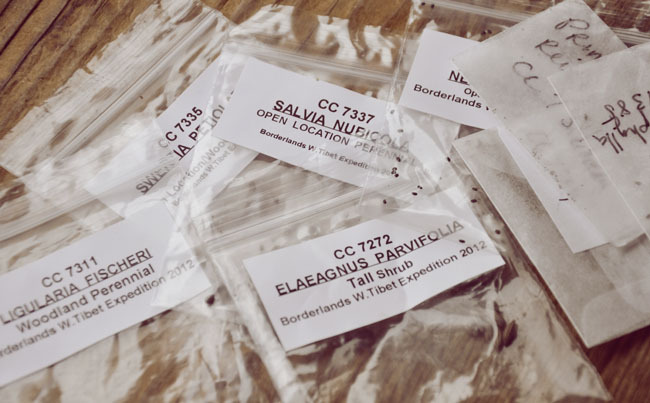 Seed sowing continues, with many new perennial seeds arriving this week, including Rodgersia collections, primula species ( many, many primula species) and Ranunculus species. Some have been prechilled in damp sand in a special fridge where temperatures never drop below 25º (as a common mistake it exposing primula and perennial seed to sub-zero temperatures, which breaks the cell wall in many seeds - seeds can handle sub zero temps, but they must gradually be exposed, as in nature. Not placed into a freezer instantly being exposed to 0º in a few minutes - this never happens in nature, and most seeds will die with such treatment). All that is often needed for many primula seed are first mixing the tiny seeds into slightly moistened sand, placed in a plastic zip lock bag, and then exposing the seed mixture first to warm temps 64º - 72º F for 2-4 weeks, then move the baggies to the fridge where temps are kept 25º - 39º for 4-6 weeks. After this treatment, you can sow the sand with the seed on the surface of a sterile mix, and place the pots either in a cold frame, cold greenhouse or best yet - outside, as they now perform best if exposed to temperatures which are 41º - 54º F.
I know, at this point you are probably thinking that this is just too difficult, but allow me to simplify things. 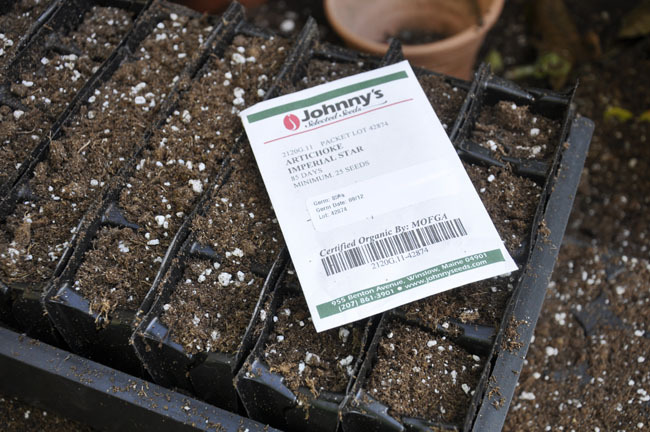 You can just sow your refrigerated seed in pots, and set them outdoors in late February to receive snow, and freezing temps, as long as it stays above 20º. 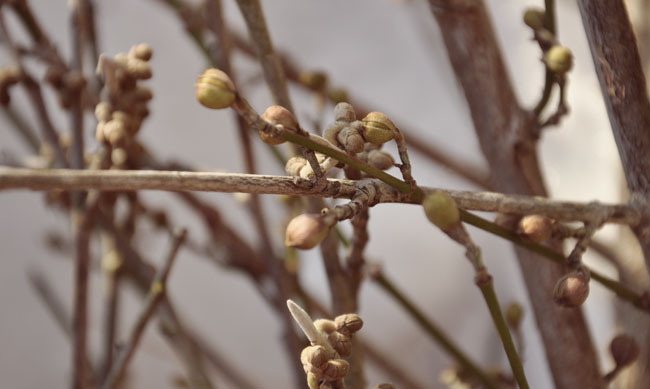 The melting snow will help the seeds germinate ( hormones and temperatures have close relationships, as do temperature shifts from day and night, and naturally occurring hormones). 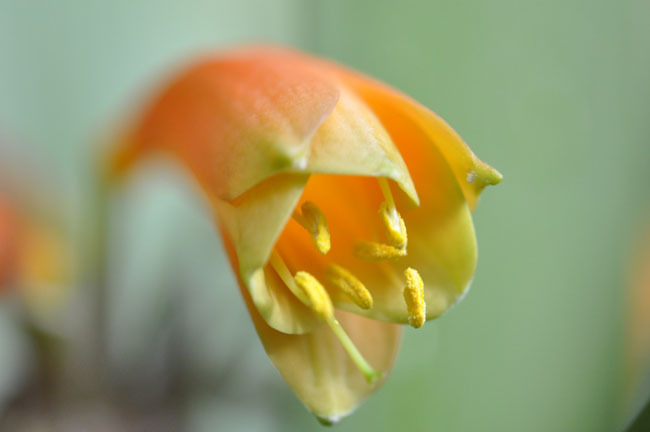 A Clivia Cyrtanthiflora group, a cross of ours, blooms with its long, tubular blossom. 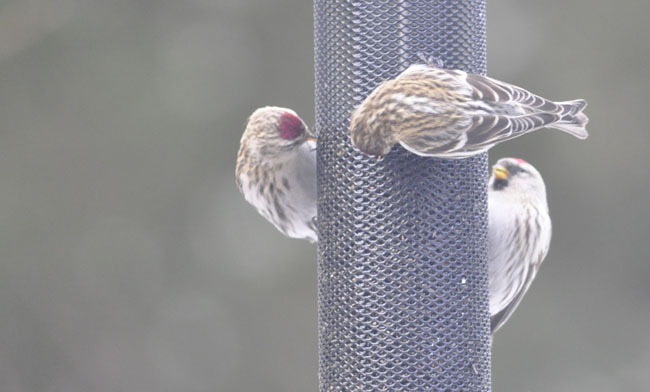 Common Redpolls visited our thistle feeder today. 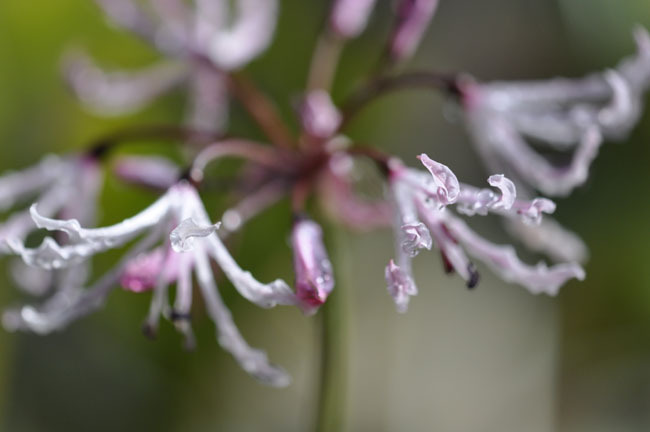 Lastly, the undulating petals of a Nerine undulata dancing in the January sunshine before the evening shade causes the glass to frost over for the night, in the greenhouse. Late January may still be mid-winter, but by the days are getting longer each day, and even though the temperatures may dip to -5º, the solar effect of the sunshine heats the greenhouse to near 80º, that is, until it become overcast, as it did this late afternoon. With light snow in the forecast tonight, the realization that winter is only half over became a reality. 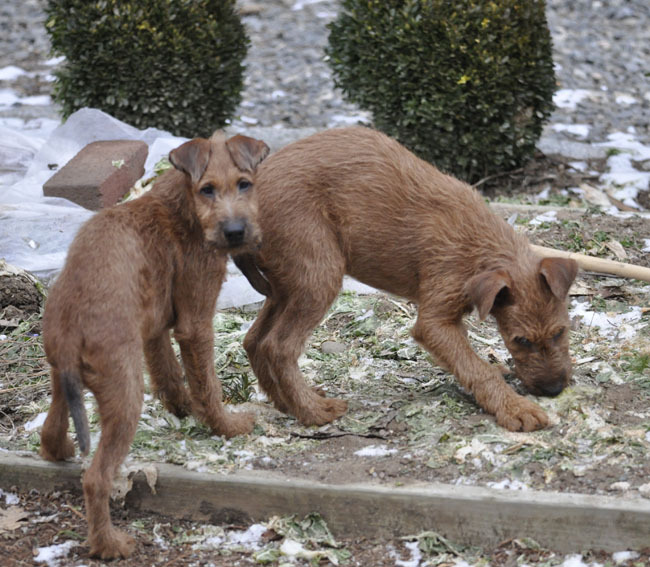 The pups discover the remains of the Chinese cabbage, frozen solid, but it's both something to gnaw on, and something to eat. So much for those winter pansy's in the same bed. I yelled at them from the deck, and even at their young age, they know how to act guilty. and I will set up shipment for you! And as a bonus, every one else wins a puppy picture! ( at end of post). 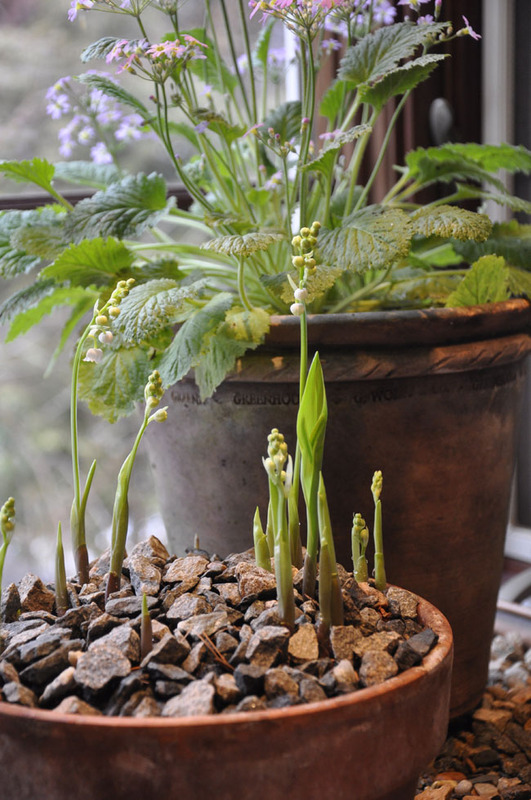 Another update for you - those Lily of the Valley pips which I dug up in late December - they are still blooming. Never will I spend $60 again to buy them from a mail order nursery in the winter for forcing, thanks to my 1805 gardening book, I ( and you) can have the scent of Lily of the Valley all winter long. My little Lily of the Valley project really paid off. I simply dug some roots with buds just before the Holidays, and then planted the roots in flats and pots, which I placed in the greenhouse. As I mentioned before, I've purchased beautiful roots for forcing ( pips, they are called) from White Flower Farm and once from France. They performed well, but the ones that I dug from my garden actually performed even better. 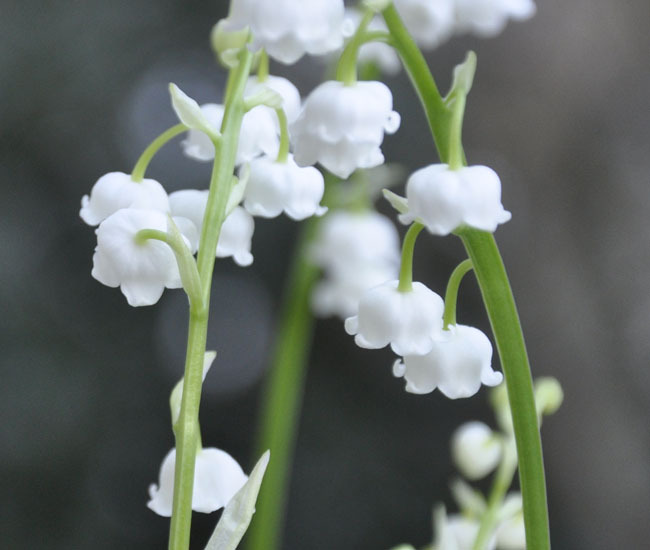 I will share a a couple of secrets to successfully force Lily of the Valley. 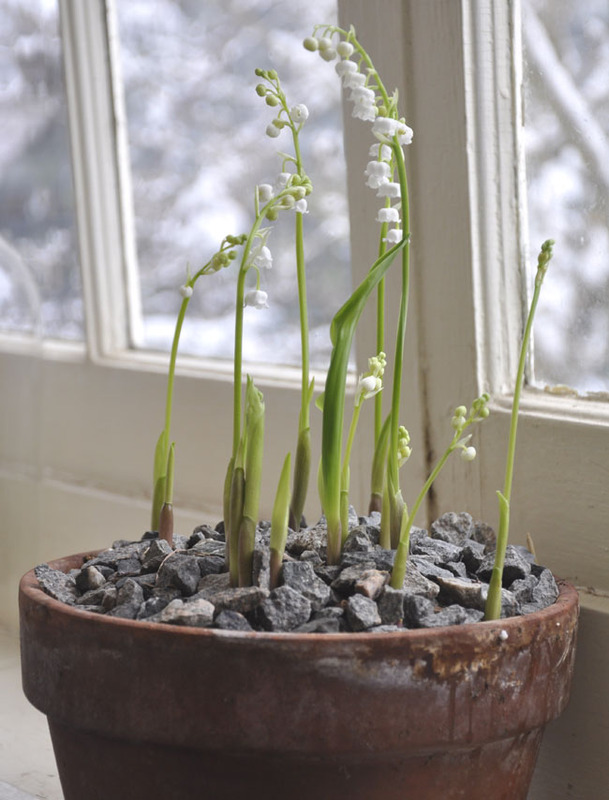 First, dig your Lily of the Valley pips late in the year, best even to dig them during a thaw ( even now, if the ground is not frozen). 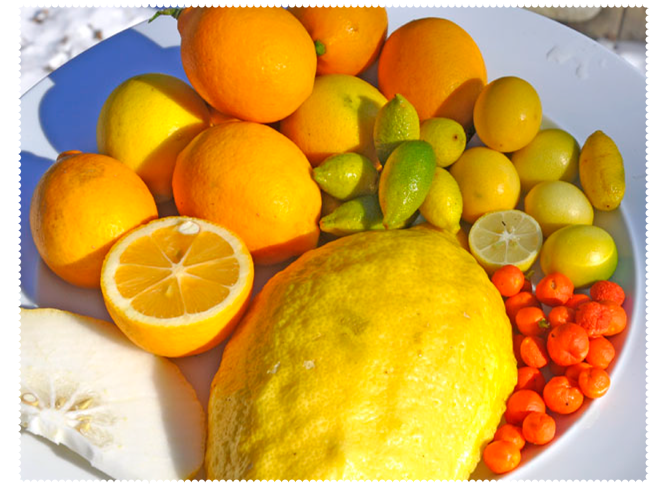 This ensures that you will have fully vernalized plants. 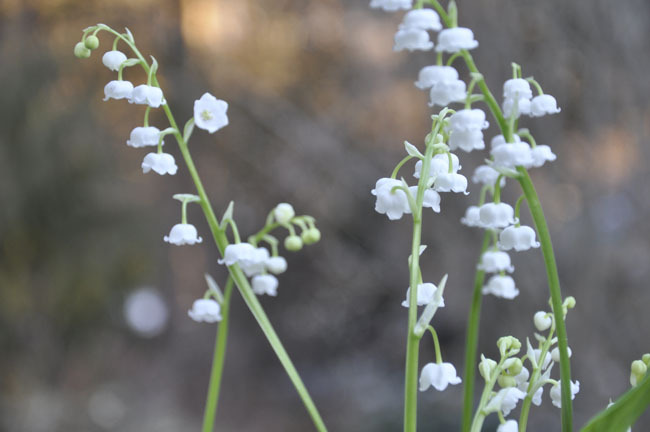 As anyone who grows Lily of the Valley knows, these plants run, and are practically invasive, so there is no fear in digging up as many as you need. If you dig plants in December, you can pot them up directly into pots, and begin forcing right away. 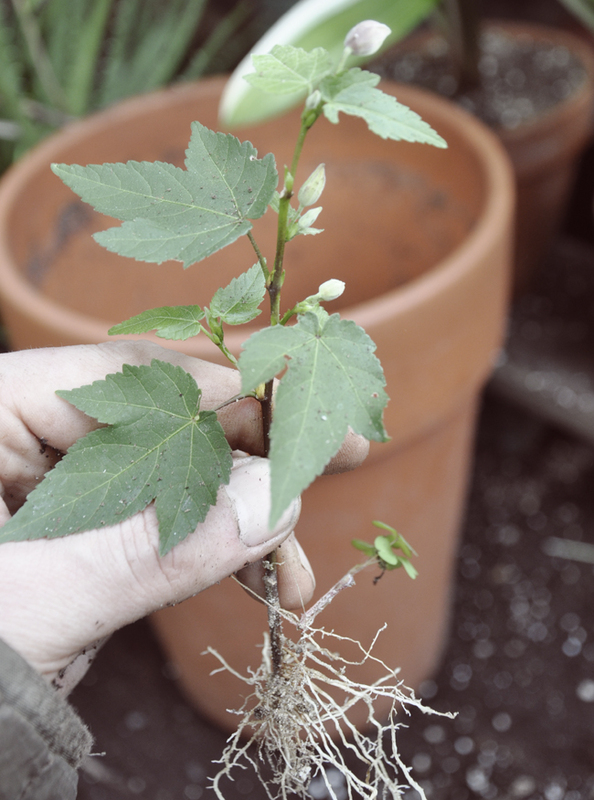 The roots are strong, and white, but you can trim them, so that you can fit more of the vertical shoots in a pot. The goal here is to squeeze as many shoots into a pot as possible, as only one flower stalk will appear from each shoot ( if you are lucky). 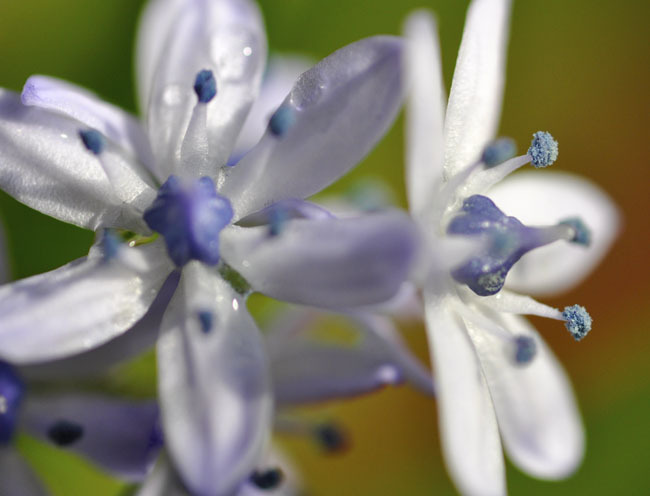 The smallest shoots most likely will not produce a flower. 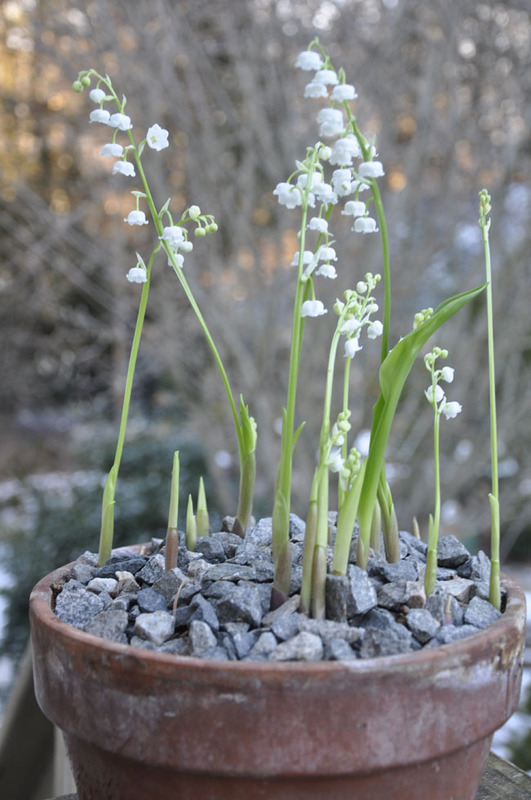 The most common mistake people make in forcing Lily of the Valley, is keeping the plants too cool. 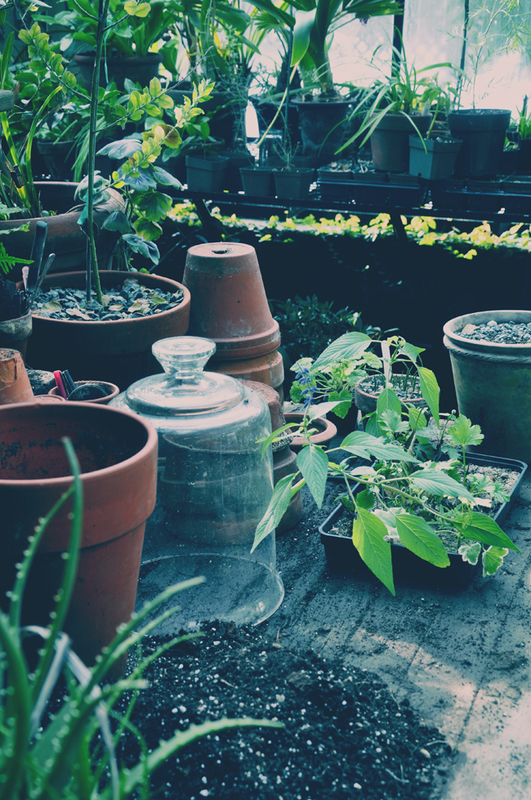 These are warm weather lovers, so place pots in a bright, warm place such as a sunny window that has no drafts, or better yet, under lights, especially tiered ones as the light rack below the highest setting will ensure that the root level of the pot will remain warm during the day. When lights are turned off, the pot and thus, the roots, will cool significantly, and this temperature shift is key in ensuring long stems, and little bud drop. It was a trick we used to use when forcing perennials for the New England Spring Flower Show. Once pots are in bloom they can be placed in a cooler location - I keep my pots in a deep plant window which stays near 50º F day and night. The scent is incredible, and it's an amazing sensation in the middle of January. 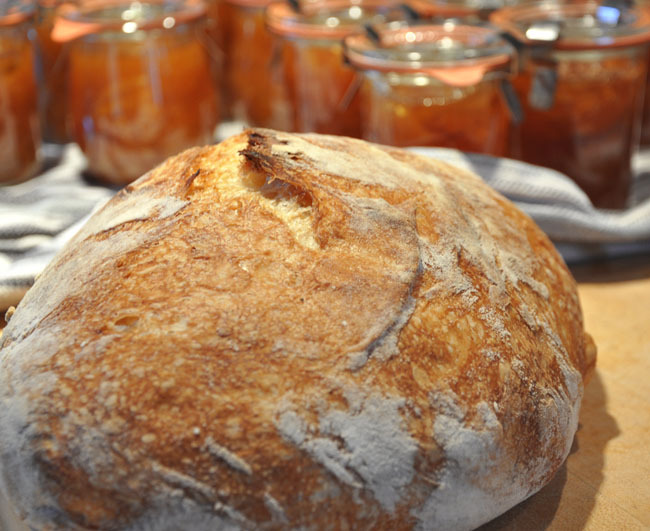 I also gave a pot to the lady across the street who is 85 years old for her birthday - it was so sweet, she cried, as she lives alone. In the greenhouse, which is still quite cold, I have many more flats waiting to be forced as soon as these first pots start to wind down. 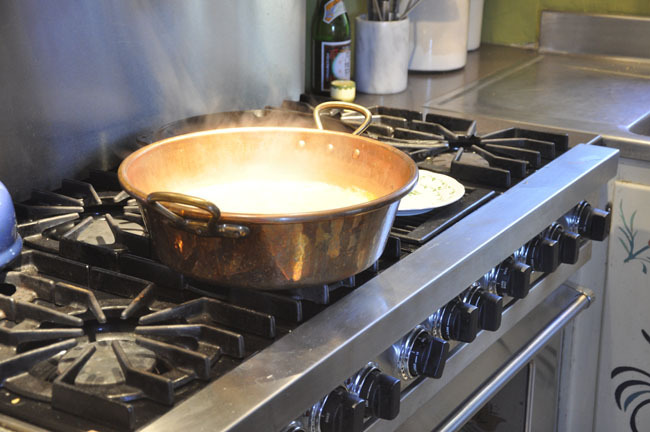 As the winter progresses, these other pots kept cool, will force in less time. 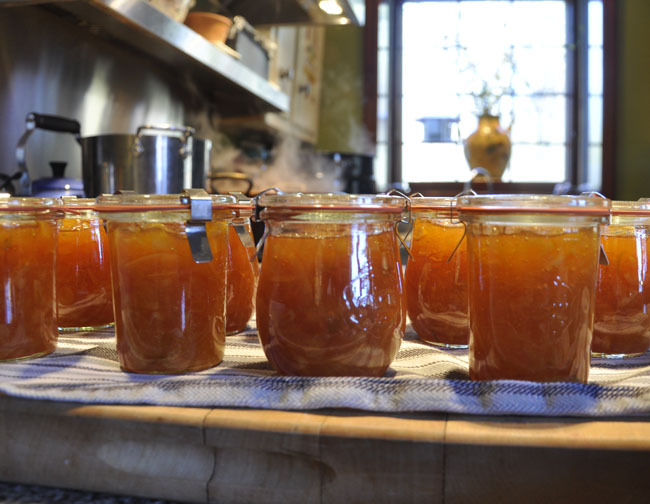 Be sure to try this next year ( or dig some up from your garden if you get a thaw in the next few weeks) and let me know how it went. 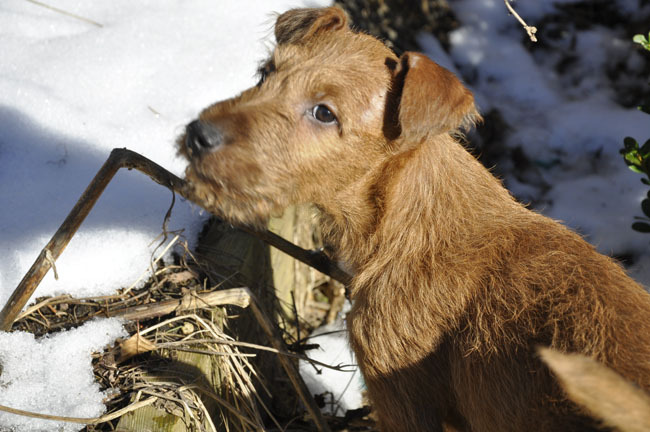 Little Weasley, now at 8 weeks is helping to weed the garden. I'm not sure I want to admit this yet, but it looks like we may keep both puppies, as we are getting attached. Or should I say that Weasel Bee is attached to me. 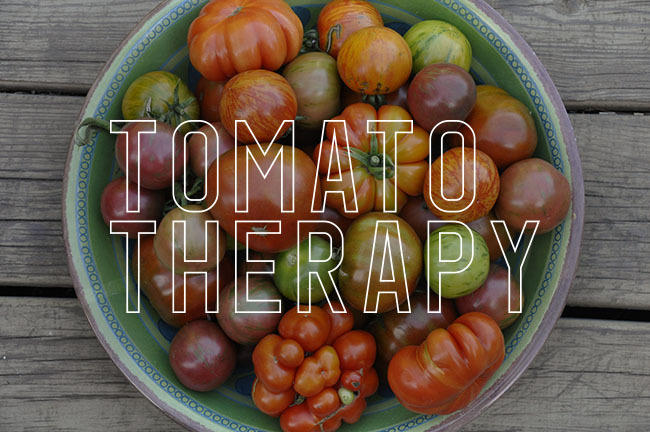 LESSONS ON GARDENING, AND LIFE. Now, you can win one too! Read on. Choosing a title for a book is a difficult, and often painful process - often it includes a trifecta - a back and forth discussion between the editor, the publisher, and then between the editor and the author. Throw in marketing, the sales force and the book designer, and things can quickly get out of control. But my blogger friend Margaret Roach (Friend? Well, I've have only chatted on-line -----I know! don't worry, I don't plant football) - - has written a wonderful little book, and it's one that I think any of my readers will enjoy. This week I am giving away a copy for free ( thanks to Margaret and her publisher). First and foremost, Margaret love words and writing as much as he loves plants. She writes literature, and I write a blog, but I will do my best to try and describe her book for you. 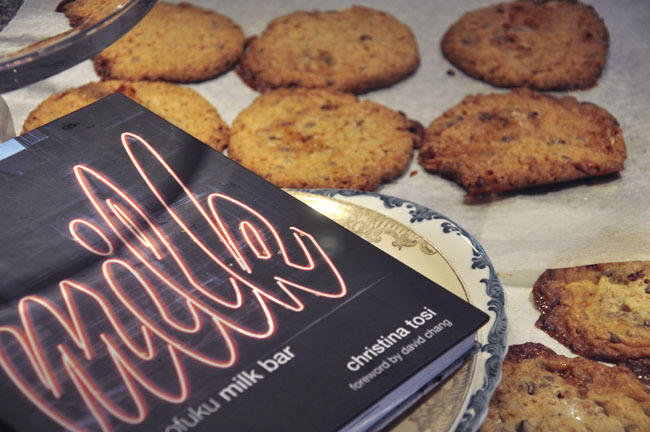 As a designer, I will add that this is a beautifully designed book. The perfect font, nice paper stock, and the perfect size for bedside reading, or for reading in that ugly lounger I shared in an earlier post as the squirrels raid my bird feeders. Margaret does use some words that I have to look up, but then again, she was ( and still in inside) an editor. I wish she would write more books, especially on gardening. You can win this brand new book right now by simply by first leaving a comment on this post and by joining my blog as a follower. I will choose a winner this Tuesday at 9:00 PM. EST. Please leave only one comment, as I will be randomizing the winner from the list. 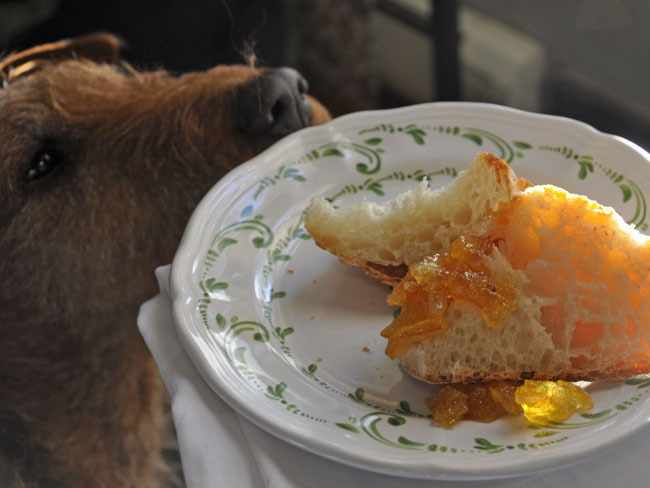 It is nice too, if you could take the time to visit Margaret's blog, and her Facebook page for the blog, and this crazy interweb is a numbers game, and we all need numbers if we want to continue such posts! Most of us know Margaret from her very popular blog A WAY TO GARDEN, her books ( most recently AND I SHALL HAVE SOME PEACE THERE) and of course, many of us are familiar with her corporate life when she was editor of Martha Stewart Living (including her gardening radio show Sirius on MSLO channel), and her many other contributions with both MSLO and elsewhere over her career. This latest book Margaret continues sort of where her last book left off. 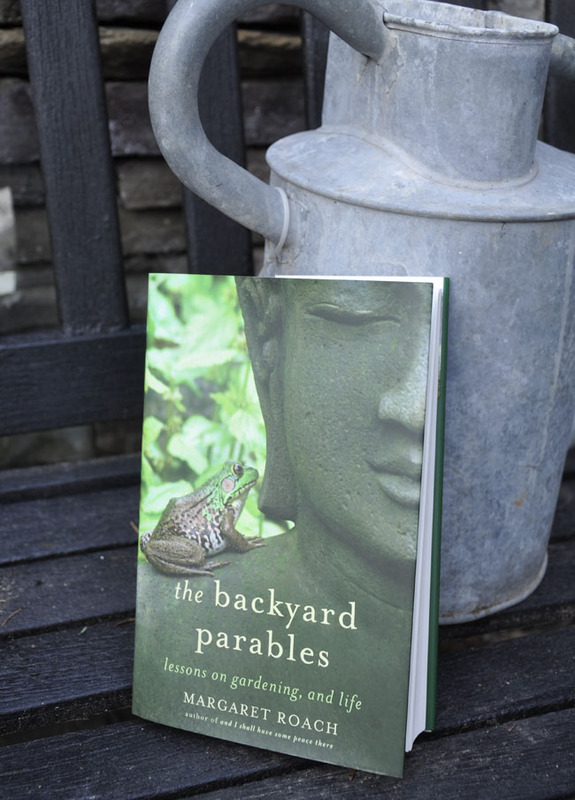 She documents the daily adventures in her garden, and in her life - both spiritually, and physically. Margaret writes about her life, and this book is personal as well as it is informational. I dare to day, that Margaret is just beginning her new career - and that should be exciting to her. In the garden she is a modern day Ruth Stout, but in (a younger) Thalassa Crusoe body. Margaret is leading a pack of new, young gardeners who follow her every word. 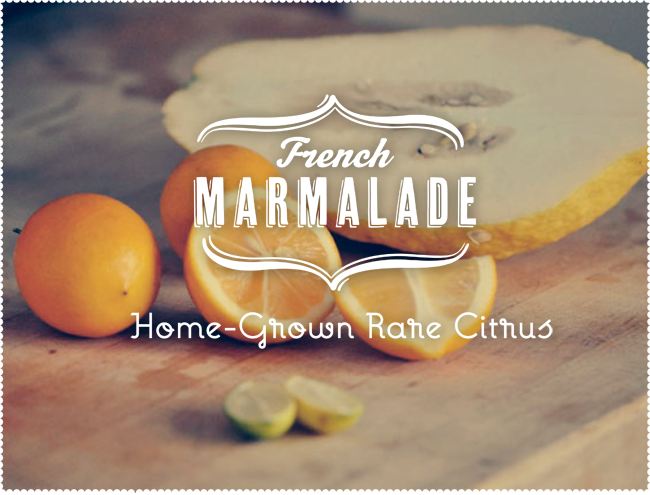 She is the grande dam of the hipster, lifestyle mommy bloggers, yet at the same time, she is a true homebody, rarely leaving her home and garden ( like a true writer), and this book explores that part of her world in detail. I found it funny that she frequently mentions that she "really isn't' a horticulturist" especially in this book, which I suppose is true, but she is certainly an accomplished gardener - albeit one who is still learning, (and then, who isn't). Margaret acknowledges in both this and in earlier books, that her garden has changed (i.e. saved) her life. To her, gardening is not viewed as a an activity, especially one of leisure as it is for many, but she is discovering that it is drawing her in, and in a very intimate way. As Margaret's life evolves, so does her relationship with her space, a space which has gone through tremendous change over the past 8 years. When Margaret stepped away from her massively powerful corporate job (and life) in New York City, and starting her new life in this little house in rural New York, now only did a new chapter open up for her - I think it freaked her out a bit. And, by writing these first two books, she is confronting this issue. My hope is that as she writes more books, that they will deal more with her garden, now that she has opened her soul, and shared her deepest regrets, hopes and dreams. Margaret admits that she is a most unlikely gardener and naturalist, yet even though she lived in New York City, she still kept aquariums and started gardening when she was still young. As for many of us, discovering gardening happens in phases, and for that reason alone, this book will appeal to both the beginner, and to the expert gardener, for we all deal with many of the same struggles in the garden and in life. 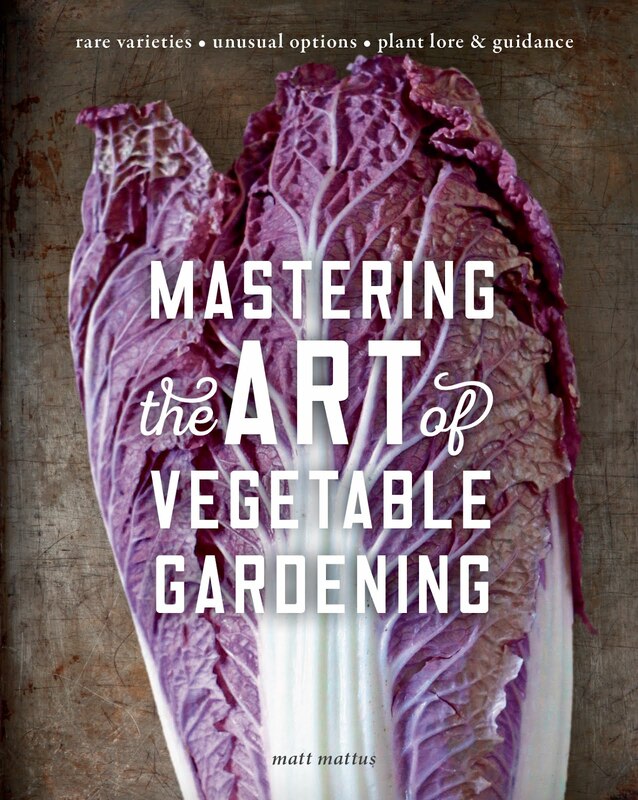 This book is heavy on the philosophy and spiritual aspects of gardening, but we can all use a good dose of that too. This is a book more about appreciation, of life and natures irony, It examines in a peaceful way, both the cruel and the sweet gifts of life. This is a book that comes off a little less angry, a little less tense, and it doesn't try to define the irony or reason behind why things happen. It reminds me of her earlier writing (when she was editor at MSLO) I think an article called natures datebook - short essays about chickadees mating, about sowing onions, hearing the first spring peepers in April or listening to the, June bugs buzzing on the screens on a July evening - even about sound that ice makes when it slides off the roof on a moon lit night in January. Margaret has found herself, and I think she like her. Elisabeth Zander Berkshire Chapter of NARGS, (L), Gail Read, Horticulturist and Garden Manager at Blithewold Mansion, Gardens and Arboretum in RI (center), and Peter George, President of the National Rock Garden Society share notes on plants that they are taking home from my greenhouse ( note-to-self: Always have divisions of rare and interesting plants to share with other plant lovers! Spread the joy). A few years ago we decided to raise the bar at one of our plant society meetings, specifically, the New England Primula Society ( a chapter of the American Primrose Society). Our local club consists of many active and friendly members throughout the north east, some come from as far away as New York,and New Jersey, others come down from Vermont and New Hampshire. Funny thing, not all members are primrose fanatics, most are just plant lovers, and we all share all sorts of plants - so if you've ever thought about joining a garden club but felt that they might be too snooty, I suggeest joining a plant society ( there are many - just Google a plant name, and include the word 'society') and find one near you. 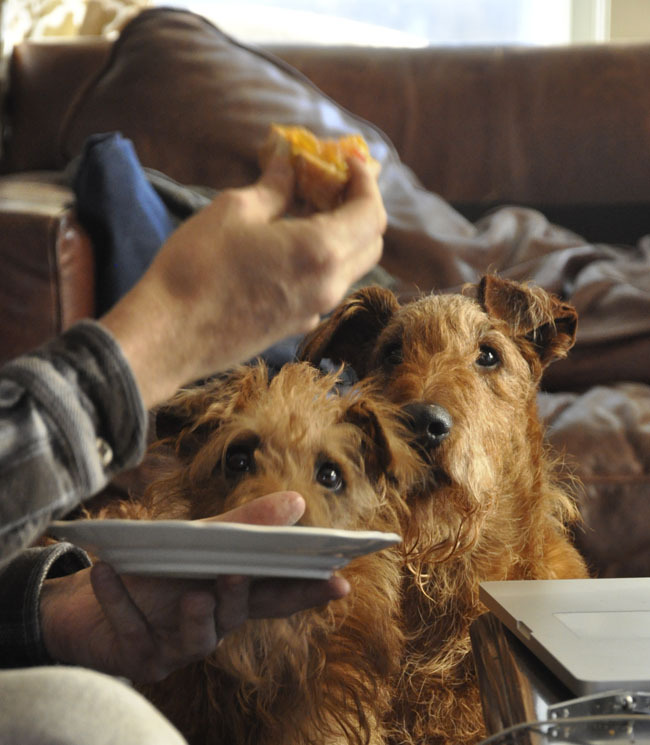 Most will allow you to attend a meeting before you join, to see if you might like it. Plant societies are friendly, active and often composed of people of all genders and ages rather than the traditional garden club. One of the perks of becoming a member of these specialty plant groups ( aside from the fun meetings and new friends) are things like this - seed exchanges. The American Primrose Society has it's own seed exchange for members, where one can purchase seed, but our club went a little further, and sponsored a share in an expedition to Tibet last year. The collected seed? We all shared - here is my lot- so excited to have this rare seed typically only found in botanic gardens. We are not primrose fanatics, but we do grow primroses, but the main reason we are active in this club, is simple the people. We all have become great friends, and look for any reason to get together. Our greatest problem has been finding a location to meet - no place seemed perfect during the winter, since most Botanic Gardens are open, but only offer meeting or class rooms, it left us cold grange halls, or church cellars, which never felt inviting, Joe and I suggested that why don't we make these winter meetings an 'event'.. and even through we don't live in a fancy house, the greenhouse is interesting if we hold the meetings at noon, and since I can cook, why not just light the fire, and make this more of a ski party than a boring meeting. 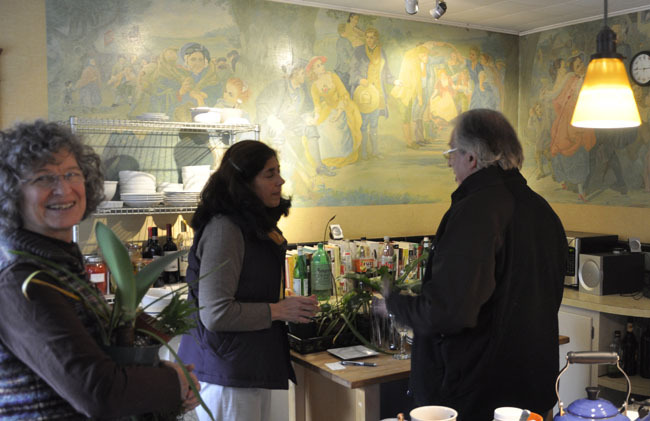 And so our winter primrose bash was born. All plant societies can learn from this - make your meetings 'events', and people will come. We even had 3 young blog readers attend, and many people brought curious friends. Some participated in the meeting, others, toured the chicken yards, the greenhouse in bloom, played with super-cute puppies or played video games. All enjoyed lots of good food and laughs. After lunch, down to business ( and more cookies and even more seed being shared). Some of friends here: ( left to right) Amy Olmsted( left, from Vermont), Mark Dyon( from Newton, MA), Rodney Barker ( Newton, MA), Judith Sellers from NY, Rod and Elisabeth Zander, (CT), and Jacques Mommens,(NY). Remember those Lily of the Valley pips that I dug up the week before Christmas? The first pots are coming into bloom. placed it under lights, it popped into bloom in one week. All free from the garden. 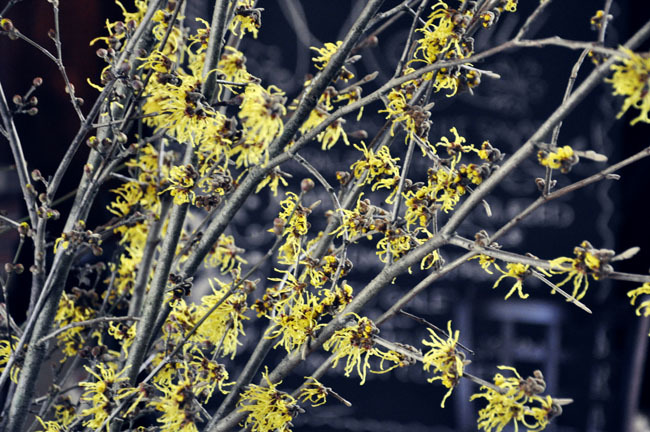 The Hamamellis ( Witchhazel) branches that I picked last Sunday, just popped into bloom on time. I think if I had picked them two days earlier, they would have been more impressive, but they did the job. 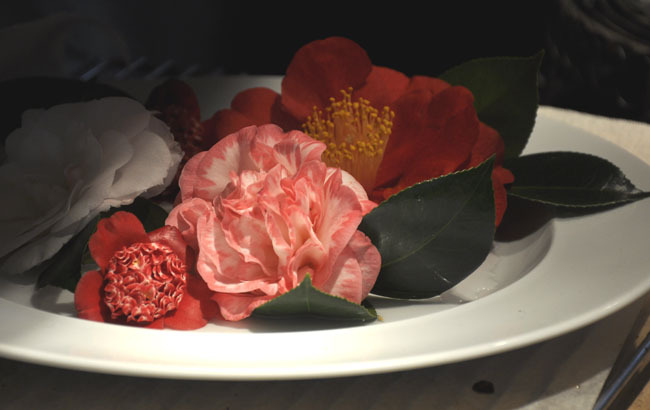 The greenhouse was not as full of blooming plants as it normally is in January, but there were a few Camellias that I could pick to place about the house, and in the kitchen to brighten things up on this dreary, over-cast winter day. Winter Therapy - Branches and Books. Cornus mas forces into bloom ever so quickly in January, with tiny yellow flowers along every branch and twig. 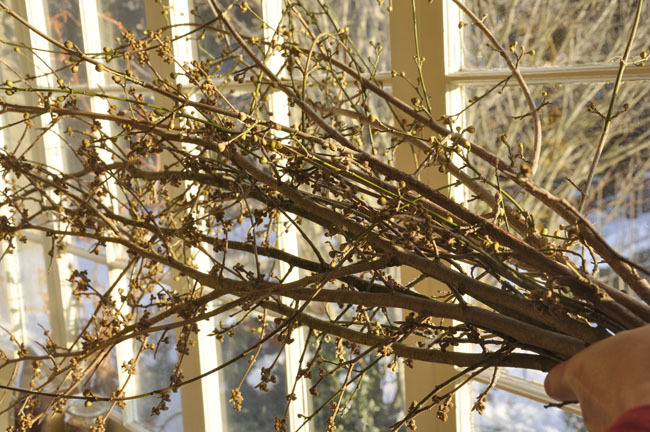 Out side, they will be in bloom by mid-February if the weather cooperates, so it only takes a couple of days for cut branches to bloom indoors. 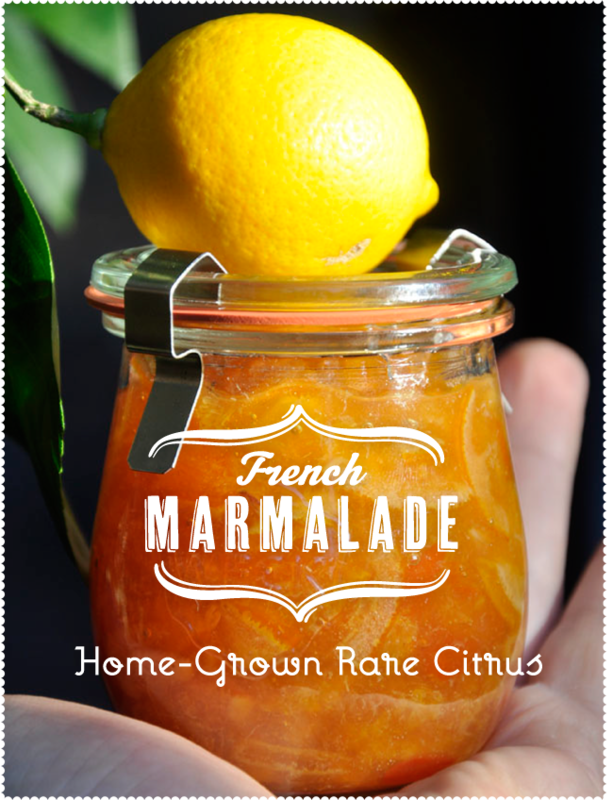 On these short days of winter, there is little to do aside from tagging lists in seed catalogs and watching Downton Abbey, ( did you see those wedding flowers in yellow and white? ), but if you are itchy to experience the garden, now that it is early January, you can begin to force some branches into bloom. Not every shrub or tree will force so early, but two will force within a week - witch hazel ( Hamamellis) and Cornelian Cherry (Cornus mas). Both will come into bloom in about one week after cutting - no need for pounding stem ends with a hammer - a habit that have proven to be useless, yet still gets passed along as "a handy garden tip". 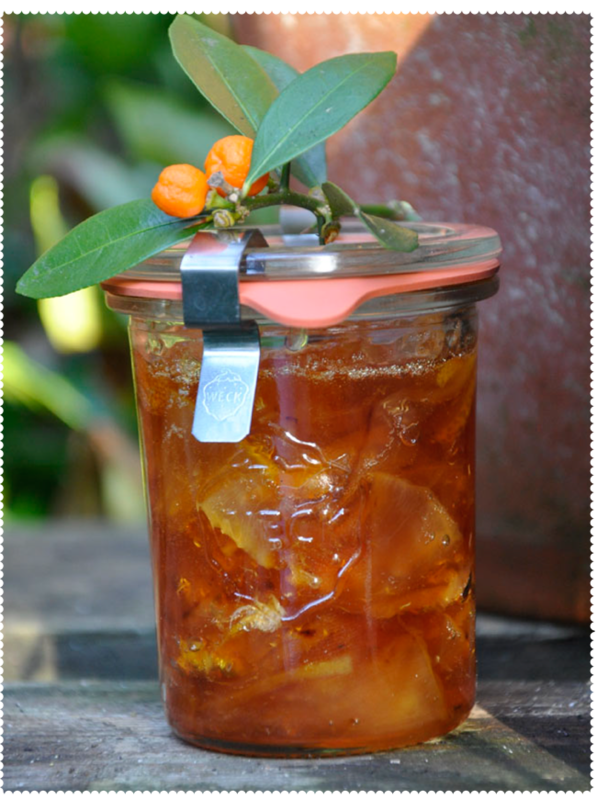 Just cut your branches, bring them indoors and place into room temperature water. 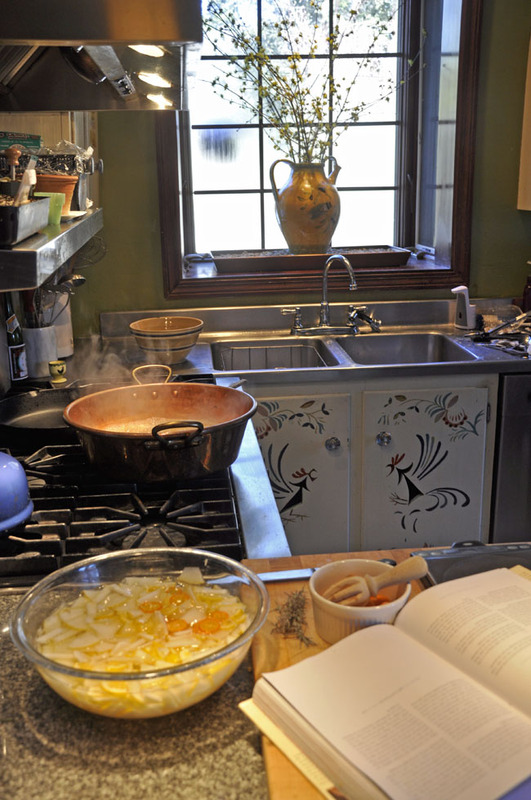 I force mine right in the kitchen, as it is the warmest room. As we are hosting a luncheon for the N.E. Primula Society on Saturday, I always try to have a few vases of forced branches around the house to freshen things up ( and to distract guests from the pine needles and junk). I cut my branches long, around 4-5 feet long as I use large vases. These branches of Hamamelis x Intermedia 'Arnold's Promise' will have fragrant, long petaled blossoms by Saturday ( maybe by Sunday, as I am a day late!). After New Years Day, I can force these branches every week ( I plant 'cutting shrubs' just for winter bouquets, near the edge of the woods). My gardening book library is now completely organized, this time by subject and not by color. ( um...the chair? OK...I know, ugly - but I am selling our other house next door, and this recliner was left in the house by the renters - brand new with tags. It will do for now, until I can replace it with something less 1990. But the dogs like it as a squirrel perch, so who knows - it may stay. On these cold days, the nights are long, which gives me time in the evening to organize my gardening books. A little project I did this weekend. Sure, I've tried the Pinterest friendly 'organizing by color' which looked great as you can see in some old posts, but not very practical if one actually uses ones books. 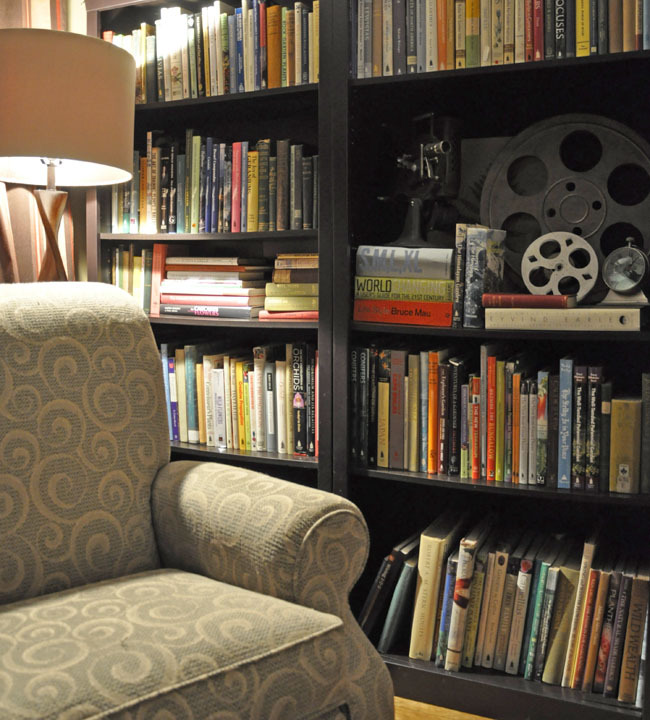 I am continually moving books around, up to the bedroom, out to the greenhouse, and stacks of books just appear next to every chair and sofa ( this is a very liven in house). Now, I organized my books by subject again. Alpine with alpines, orchids with orchids, bulbs with bulbs. 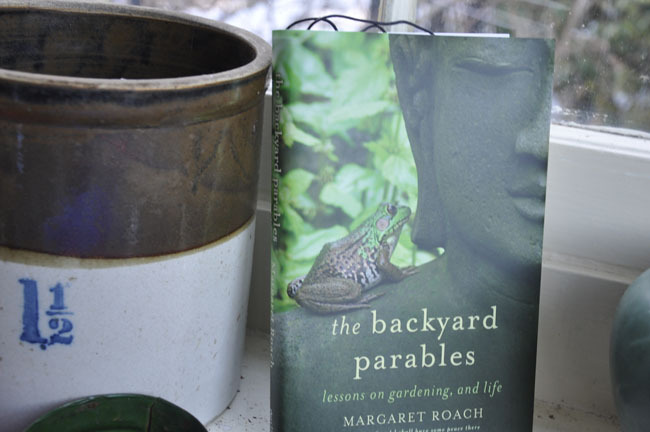 Today I received a nice gift from fellow blogger, friend and gardener Margaret Roach who many of already follow on her popular gardening blog A WAY TO GARDEN- her new book! 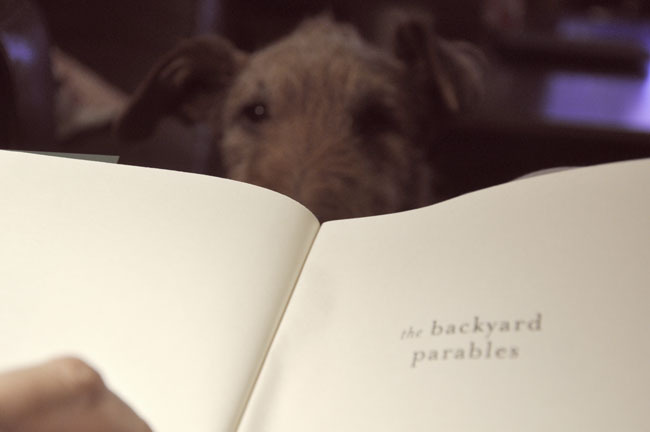 The Backyard Parables - lessons on gardening and life. I will be reading it and writing about it starting tonight, but stay tuned, as I will be offering a giveaway in a few days! You can be one of the first to win Margaret's newest work. 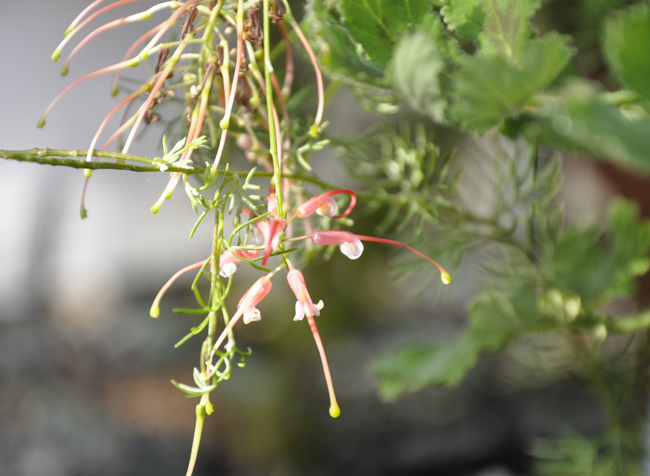 I should catch you up on some of the newer additions to the greenhouse collection, two new Grevillea species - as I am Australian plant deficient. Grevillia, are subtropical evergreen shrubs which have been grown in Victorian greenhouses and conservatories, but have remained uncommon in many collections, especially now as few nurseries grow them outside of California where they are common landscape plants. A large genus ( with 360 species), Grevilla are relatives of the Protea. 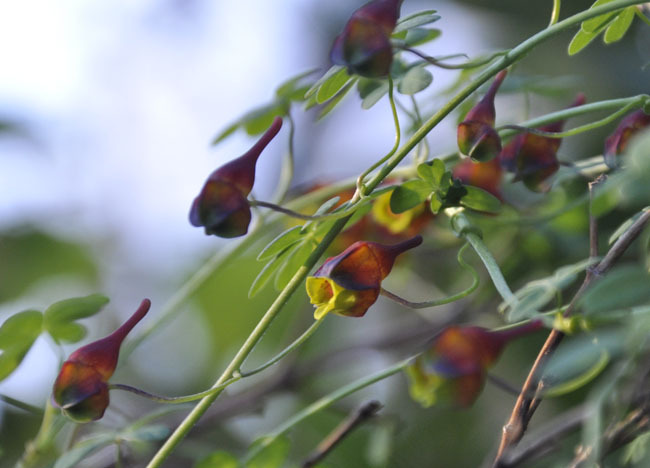 I find their spidery blossoms just as exotic as the protea, as they are botanically petal-less, consisting of just a calyx tube with four long styles. I can't wait until my plants grow large enough to bloom more. 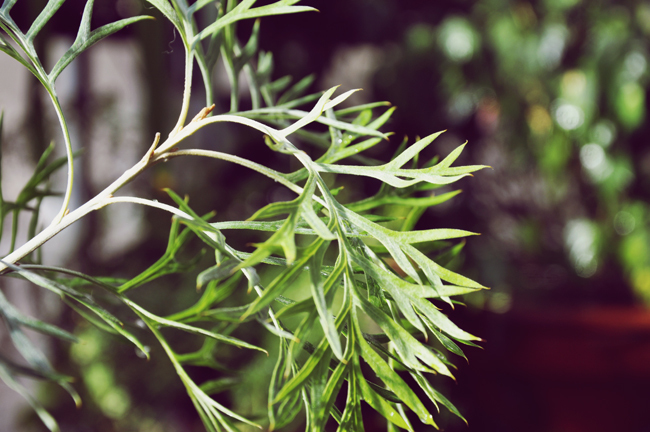 Grevillea 'Robyn Gordon' - one of the most popular cultivars, is still a cutting, but I expect blossoms by late summer. 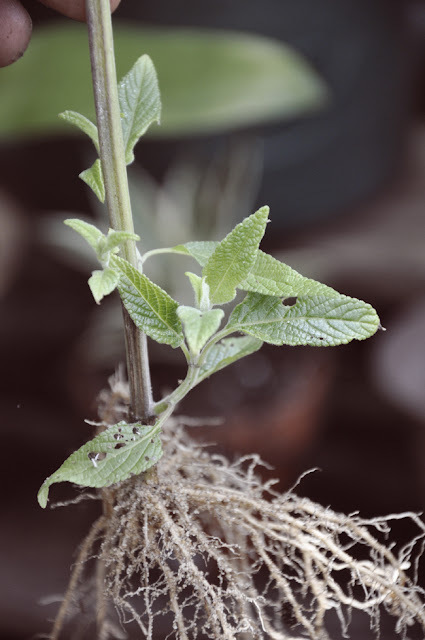 Rooting your own cuttings taken from summer annuals and tender perennials is easy, but they don't always winter over well indoors, one is best undertaking such tasks with a cold greenhouse, or under lights, if you have a cool cellar or cool sunroom. 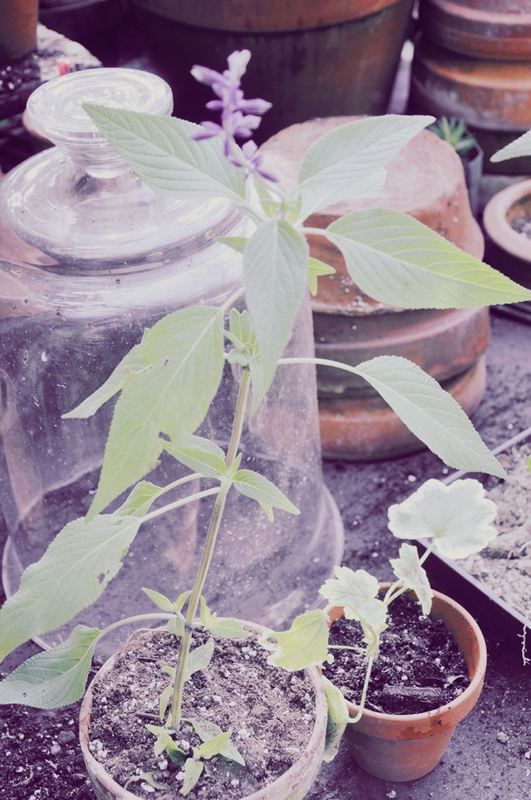 Indoors, such plants as abutilon ( flowering maples) and salvia species, suffer under the dry conditions and are prone to getting many insect pests. New Years Day I spent cleaning the greenhouse, which seems like the only bit of gardening I did on my Christmas vacation. Most of the time I spent recovering from that nasty flu, and then a good bout of laziness. It's amazing at how little I can accomplish when I really put my mind to it. Wednesday it was back to the office, and back my routine - it was odd being away from my office for three weeks ( nice, but oddly disorienting). Getting back to the grind and craziness somehow helps me to use what little free time I have, in more useful ways. I think on New Years Day, it was part guilt and part panic, that got me outside to sweep the benched, rake the isles and re pot a whole lot of plants. It was also sunny, and even though bitter cold outside, under glass, it was sunny and warmer ( 'warmer', as in 50º F). It was a little nerve wracking as snow kept blowing off of the hemlock trees from the storm we has two days earlier, and it would drop onto the glass roof with a bang. Inside, I wore a T-shirt and jeans, which got wet from the hose, and muddy from the pots - it all felt a little bit summerish. I found a flat of cuttings from a post that I did in September, where I walked around the garden and snipped various salvias, abutilon and other tender shrubs and annuals. I don't know why I always buy new plants each year, when all I need to do is to take cuttings in the fall, to carry them through the winter. I think I just become bored with the same cultivars, so a fresh colored abutilon sometimes feels new. But I do have my favorites, such as this abutilon 'Firefly' with tiny, deep scarlet-red bells, always worth having a few pots to place around the borders or to share with visitors. An Abutilon 'Firefly' cutting that I took in September and placed in a tray of damp sand, is now well rooted and ready to be potted up. Cleaning the greenhouse was fun, as I made extra room simply by filling 4 large garbage bags with old containers, flats, pots with cracks and unused insulation ( bubble wrap) from earlier winters. I'm a bit of a hoarder, so purging every now and them makes me feel good. It was also great to get my hands into the soil, as there were many plants to be repotted. I think one of the most rewarding aspects of having a greenhouse is gardening on these short, cold winter days when it is sunny outside. Many plants needed to be organized, orchids brought together with other orchids, Nerine brought back to the upper benches now that they are out of bloom, sand plunges needed to be cleaned out and pots replaced with blooming South African bulbs or other interesting alpines. 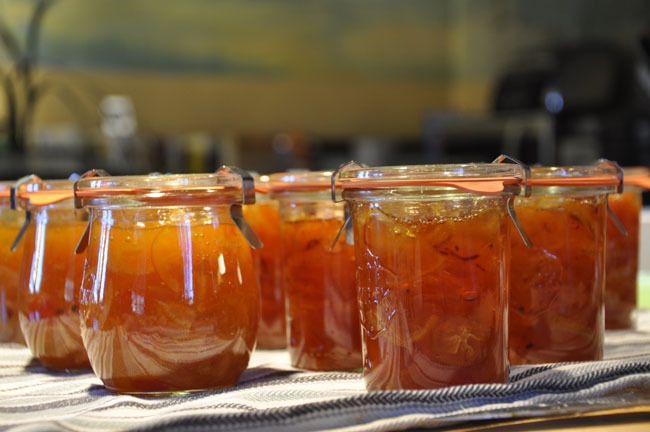 With our annual Primula Society luncheon happening next weekend, much needs to be tidied-up. 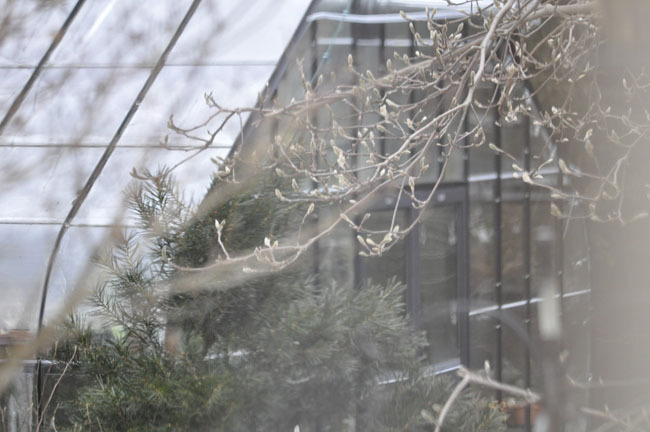 Especially the greenhouse as the day is more garden tour as much as it is business meeting and social party, and since the rest of the garden is under snow, the tour becomes a greenhouse tour. I took many cuttings of summer-blooming salvia species, each root easily, and one can have dozens of rooted cuttings in a matter of a few weeks. 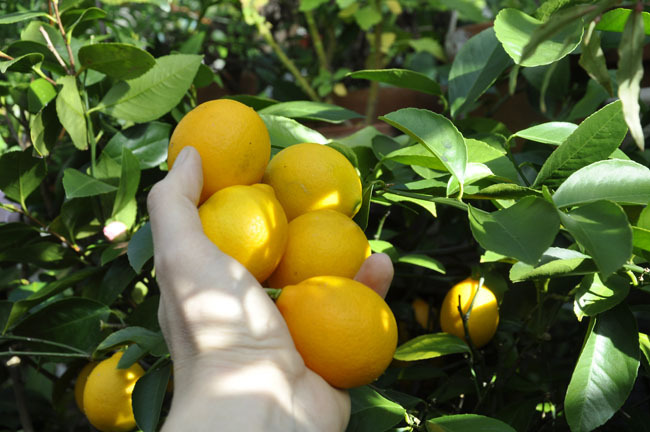 These can quickly become lanky, so it is best to pinch them back to the second internode after the cutting have rooted. I also needed to make some room for seeds that will be arriving in the next couple of weeks. Perennials that have been cold-treated will need to be sown, and next Saturday's Primula Society meeting will also include a special members-only seed share from an expedition to the Himalaya ( our good friend Chris Chadwell), so more seeds will be coming from his very special collections from the past year. Other seeds that will be arriving soon are early annuals - that will need to be sown in the first few weeks of January - these include impatiens, begonias and geraniums. Snapdragons too, will need to be sown soon too. I am so angry at commercial growers for using growth retardant on their annuals ( and vegetables) incorrectly, that this year I am starting everything at home. Last year zinnias, marigolds and most every other annual which I purchased in bloom - all nice and tight in their little 6 packs, stayed that way - nice and tight, failing to produce another bloom after being placed in the garden, and eventually they all died ( and believe me - I can grow most anything!). This year I was 4 foot tall marigolds, sweeps of coral zinnia's, tall spikes of snapdragons, and waving wands of cleome and cosmos that are 5 feet tall, and I know from experience that each of these will either need to be sown into the garden, or started a few weeks early indoors, for store bought plants will sulk and pass away after a month of sitting in the garden and doing virtually nothing. 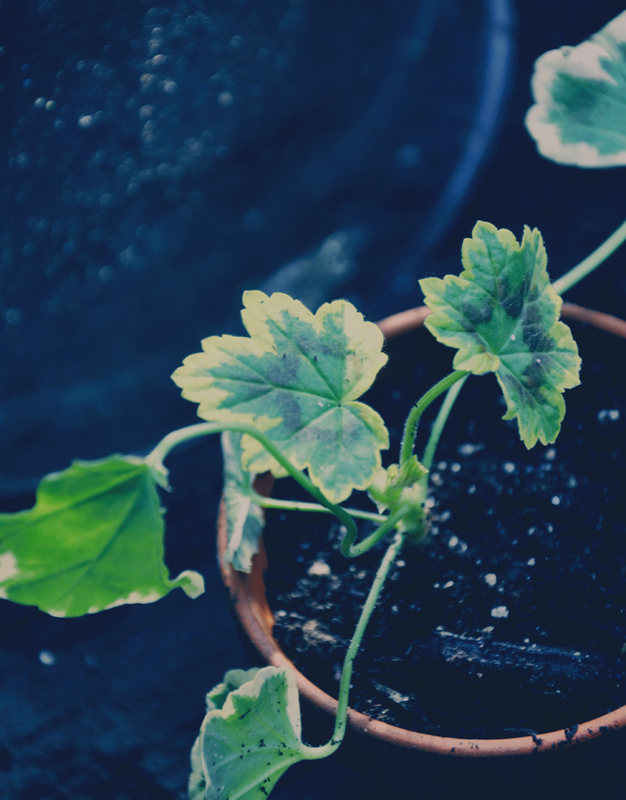 Geranium cuttings are root quickly, but heirloom variegated forms take more time, and even bottom heat.